Missionaries need to begin their exciting time of service with as much personal preparation as possible. How can they create a spiritual foundation that will help them stand strong when times are difficult? What do they need to know even before they enter the Missionary Training Center? In What to Know Before You Go, Don H. Staheli, a former mission president, provides answers to questions such as these. Each short chapter includes a great tidbit of loving advice and spiritual counsel (the sort you would get if you were sitting across the table from your own mission president), as well as a true, inspirational experience shared by a full-time elder or sister missionary. The Lord is hastening the work of salvation. He needs missionaries who know not only how to do missionary work but how to be missionaries. This insightful book will help you start off on the right foot as you work to develop the heart, mind, and soul of a missionary. Don H. Staheli has served for over forty years in executive-level administrative positions for The Church of Jesus Christ of Latter-day Saints and as a Licensed Clinical Social Worker with LDS Family Services. He has fulfilled callings as president of the France Paris Mission, regional Representative of the Twelve, stake president, bishop, and temple sealer, and he currently serves as a stake patriarch. He received a bachelor’s degree in history and master’s degrees in social work and international management. He is happily married to Cynthia Bodine Staheli. They have five children and twenty-one grandchildren. 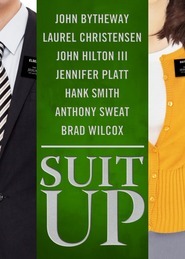 Great read for prospective missionaries. Becoming a missionary can be a frightening and intimidating thing, I mean going to a different place away from home, talking to strangers about something as important as the gospel of Jesus Christ. As a former mission president Don Staheli sets out to share some of the things he has learned over the years about missionaries and missionary work. 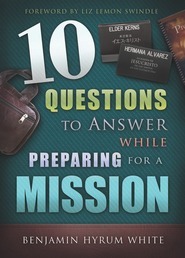 Each of the thirty short chapters addresses issues and concerns that missionaries and prospective missionaries need to consider in order to become the best missionary he/she can be. Topics include: listening to the Spirit and not the 'voice of the flesh', repentence, justification and sanctification, doing one's duty, pure service, and other related gospel topics related to missionary work. While specifically aimed at prospective missionaries there is much here that applies to anyone who believes in Jesus Christ and wants to share that belief. The inclusion of stories from real missionaries adds to the value of the book. A truly valuable resource for those who will be, are, or have been a missionary for The Church of Jesus Christ of Latter-Day Saints.